I am excited to have Dr. Wayne Pickering sharing this important information with us today. As you know, in addition to sugar, I speak a lot about the acid and alkaline balance in your body that greatly impacts your skin. Many of my acne clients come to me with their body in an acid state. Once we correct this, acne bacteria and other disease has a hard time getting a foot hold. In fact, the balance that creates this is driven by the very foods we choose to eat and has a great impact over your health. Please enjoy this post from Dr. Pickering and I know you will walk away with several "ah ha" moments, just as I did. 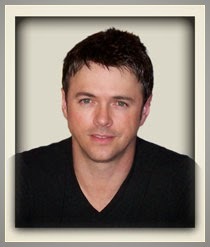 I am so excited to be a guest contributor to Chris Gibson's Natural Expert Blog! I hope that I'm able to give you what you need to create and maintain a health body (and complexion) for your entire life. Let me start with a basic thing you need to know about your body and how it's acid-alkaline balance is so important. Getting the right acid-alkaline balance in the body can help diminish stress levels. Lets also look at how the acid-alkaline balance works with disease and the healing process within the body. First off, a quick note: go to my website The Mango Man Diet and you’ll find a program that has a list of all the foods that are acid and alkaline-forming in the body. The Mango Man Diet mini-program also talks about the proper acid-alkaline balance that you should be striving to have year round. Once each meal is eaten and digested properly, your body retains an ash that’s used daily to maintain good health. That ash retained will either be acid or alkaline, depending on the foods you’ve eaten. It is important that a proper balance of that ash –- 80% alkaline and 20% acid –- be maintained each day. The 80% – 20% balance varies somewhat during each season, but the balance is always heavily in favor of alkalinity. 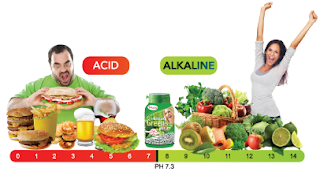 The ACID-ALKALINE chart is the key to properly balancing your intake of acid-alkaline foods! If you go by the seasonal percentages (as I just mentioned and we get into that even more on our Mango Man Diet program) and make references to the “ACID-ALKALINE’ columns, you’ll never have to worry about diets or food chemistry ever again! By making a commitment today to make these changes, you will see an amazing improvement in your skin in the weeks and months that follow. Please share below how your skin health changes from following these action steps this year! Are You Ready To Unlock A Better You? I hope you had a chance to read through my post from the other day about how much effect sugar in your diet really has on your skin. The first step in changing anything in life (that includes the health of your body and skin) is to have the information you need to make the changes that will make THE difference. Often the hard part is actually making the changes. We as humans are hardwired to dislike change. Everyone has that reaction and has to work to get past their own resistance to change. It takes most people 21 days to create a new habit, and changing anything requires new choices and decisions. For an example, think of all those new year resolutions most people make. What usually happens to those after a month or so? I still remember many of the times I've made new year resolutions for. The one thing that stands out to me was that the times I was successful at achieving them were the years I took action on what I wanted to change. For example, I had discovered that sugar was a big problem for me. I didn't want to give it up, I didn't want to do the work of making changes, I resisted deeply. Then, I had a trusted friend recommend a plan she followed with great results. Unfortunately I was still not in the right mindset and was very resistant to trying anything like that on my skin. So for months I sat on the fence about doing it, not making a true decision as Tony would say. One day thankfully something in me finally snapped! That day I made my decision and decided to change my diet. How badly I wanted to change how I looked and felt about myself finally outweighed my resistance to change. Thankfully the results were much better than I expected. This taught me many things about continuing to put off the decisions to DO the things that can really change your life. If it's starting that business you're afraid of starting, find a mentor and just do it. If it's how you look (like it was for me), then simply make the choice to change the things you do each day to get the results you want. That is certainly an area I am committed to helping you with! What you do every day makes a real difference in how your skin looks and behaves. If you're ready to really make a change then you will want to check out this wonderful detox and plan that will help you conquer sugar cravings and make it easier to eliminate hidden sugar in your diet. Sugar can be just as addictive to the body as any drug. For energy the body burns glucose (sugar) first, then fat, and last muscle. It is used in sending you the signal for it when you need energy. The problem is that most people give their bodies sugar all the time, and that is what causes the difficulty of removing it from your diet. However, there is something that helped me and I highly recommend you start using it too. I want to introduce you to Diane Sanfilippo and her The 21 Day Sugar Detox! The 21-Day Sugar Detox is a comprehensive, yet simple and effective program to help break the chains sugar and carbs have on you – and help you find food freedom. It will help you immensely and you will not believe all the places sugar hides in our foods today. This is the best sugar detoxing plan I have ever used. I'm committed to doing anything I can to help you achieve your skin care goals this year. If you never read a post form me before, then please pay close attention to this one. Hang tight with me because I am about to get a little preachy because this topic is so important. Sugar in your diet is directly related to your skin's health. I talk about it on almost every TV and Radio show I'm on. Reducing it is the number one thing you can do to abate acne, immune system skin issues like eczema and rosacea, and now studies have proven that too much sugar in the body creates havoc for your skins regenerating cells making them weaker and more prone to damage. Whenever you consume sugary foods like junk food, processed cakes, and soft drinks, (they rapidly break down and convert to sugar) -- and your body turns these simple carbohydrates into glucose, which in turn raises your insulin levels. So when you are ingesting all those carbohydrates your insulin levels spike, leading to a sudden increase of inflammation throughout the body. In my book, Acne Free In 3 Days, I talked about how I discovered this very process myself describing that how after having a sugary soft drink, I could actually see my acne get redder and more inflamed in just minutes. Bad enough but that's not all, that same inflammation creates a process that actually breaks down your skins collagen and elastin, resulting in premature aging like sagging skin and wrinkles. Digested sugar permanently attaches to the collagen in your skin through a metabolic process in the cells known as glycation. Plus, the more sugar you eat, the much more likely it will be that you develop insulin resistance, which we all know can lead to diabetes, which is an epidemic in the US. Check out this great Huffington Post article where two leading dermatologists talk about the serious impacts sugar has on your skin. Click here to read it. I've said it a million times that the number one thing you can do for your skins health is to eliminate as much refined sugar as possible. I can tell you that for every client I've had with acne, removing most if not all the refined sugar from their diets made the most immediate and lasting impact on clearing up their skin. Don't get me wrong, outside of diet, there are also other contributing factors such as, product use, environment, stress, skin care habits, and to some degree genetics (how prone your pores are to clogging and the amount of oil you produce). But, time and time again when the client cleans up the diet and gets the sugar out, they see and feel amazing results. Even better, this is something that with some discipline you can control yourself. Stopping the cookies, cakes, and 4 spoons of sugar in your coffee is easy enough. The hard part of this challenge is knowing how to identify hidden sugars in things and the crafty renaming of sugar that is on the labels of the foods you eat. Those add up to pounds of sugar a month in your diet and you likely are not even aware of it. Not to worry though, I have a plan from a leading expert that I want to share with you today that I use myself, that works, and will make a huge difference in your skin and your health. So you have something important coming up tomorrow or in the next few days. The problem is that as if right on queue, you get a blemish or even an acne breakout shows up on your skin. Stress over a breakout can lead to even more breakouts, so take a deep breath and I will share with you what can you do that will help at least ease or even erase the problem. We know that blemishes are noticeable because they well up and are red. We also know that for some of us, it can take days or even weeks for the evidence of an acne breakout to heal. Step 1: If you have overnight to address the breakout, try using a wash cloth to gently steam the area with hot water for 15 minutes, followed by a gentle cleanser and a rinse with cool water. The hot steam will open the pores so sebum, bacteria, and swelling can be released. This also speeds circulation to the problem to speed healing. Step 2: Next, dab on some plain Tea Tree Oil to kill the remaining bacteria and reduce the swelling of the pore. Tea Tree Oil is an excellent all-natural antiseptic and speeds healing as well. If you do not have Tea Tree Oil available, then use honey instead. It has natural anti-inflammatory enzymes that can really help reduce the redness and swollen bump. You should see great improvement overnight. Step 3: If you don't have a lot of time, start dabbing some over-the-counter hydrocortisone cream. This will help reduce the swelling and make the skin look less irritated and red. Follow any of these methods with my cover-up recommendations you can find here and you should be picture ready for whatever the day holds for you. Whatever you do - please don't pick at or squeeze the blemishes. This will push bacteria further under your skin causing more breakouts and making the area even more inflamed and obvious. Is some problem standing in the way of you showing off your skin? After today it won't be a problem because I have something you can do to address this quickly and easily. As you know, when it comes to skin conditions I'm all about clearing up the problem and not trying to hide it. Not stepping far away from that mantra, I know that skin healing can take a little time and often you're most concerned with it when it is visible to others. Many times our skin problem isn't cooperating with our social lives. So today I am going to share how you can camouflage acne breakouts, rosacea, and even psoriasis! 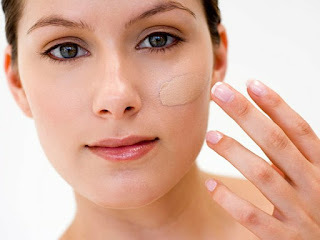 The first step is to apply a light oil-free moisturizer to the area. Be sure to pick out products that are petroleum and paraben-free. This includes mineral oil. Besides not being healthy for your skin, they will make your skin shiny which you do not want. Next, find a foundation cover up (if this is new to you take a friend or even your mom along to help you) that closely matches your skin tone. You should be able to find these at any department store and be sure not to spend extra on the brand. Step 1: Do a 30 minute patch test first to make sure your skin is okay with the product allergy wise. Step 2: Dab the cover up into your palm to warm up the product to make it easier to apply and evenly cover the area. Step 3: Apply evenly and gently fading the cover up into the skin past the area you are treating. Make sure it is blending into surrounding skin and don't overdo it. It should look natural and not like a cover up or you are applying too much product. Step 4: If you have very oily skin try applying an oil absorbing face powder to set the cover up and give it a matte finish. Just like magic, you have magically reduced the visibility of the skin issue! Most importantly though, is when you are ready to retire for the day you must remove all the cover up and cleanse the skin. Remember, cover up is a temporary fix and no substitute for addressing a skin problem. Out of all the points I share that can provide the fastest results in improving your skin, exfoliation is the key. So I've also put together a FREE video that shares more about this and can show you how to get results in as few as 7 days. Click on the next link to watch it now. The next Chris Gibson 1-on-1 Call will occur live in a few weeks. If you would like to participate and join us to get any of your questions answered, then look out for the call information through email. It is that time of year again! Well, at least in the Northern hemisphere. Summer bare skin weather is upon us and that should mean some adjustments to you skin care routine. Want Blemish & Scar Free Skin in 2014? I hope your 2014 is off to a grand start! This time of year is when everyone focuses the most on making changes that will positively impact their health. So I begin by asking, are you ready to get serious about your skin care this year? No one wants this to be a better year for you than I do. So this month I'm going to be focusing on things that can make an immediate difference in the look and health of your skin. - Those who have come to me for help on acne. I have been asked by many what can I do to stop breakouts and get rid of red marks. - Those trying to get younger and healthy looking skin. I'm being asked what will work quickly to renew their skin. - Others who say that the marks and scarring on their skin make them feel unattractive and they want a solution that will work for them to remove these issues. Well, the good news is there are things you can do right now, this month to make huge improvements in your skin. Here they are in 3 simple actions. Action 1: Feed Your Skin The Right Diet! Make the commitment to have 75% of you diet be healthy vegetables and fruits. 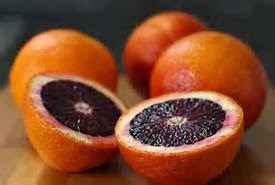 Make sure to include skin healing and rejuvenating citrus fruits like the blood orange (one of my favorites) and red grapefruits. They contain more of the antioxidant anthocyanin, which gives these red fruits and veggies their color and does amazing things for your skin. Next, cut the sugar out of your diet. New studies show that over-indulging in sugar causes the new cells of your skin to be weaker and unable to fight off damage. 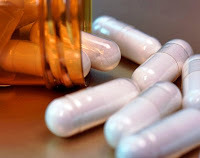 I have been sharing for years the link between sugar and acne breakouts, now it appear sugar weakens collagen production leading to premature aging problems as well. Adding more fiber, fresh vegetables, and eliminating sugar will make an improvement you can see in your skin in the very first week. Action 2: Check To Make Sure That The Products You Use Support Your Skin & Give It A Healthy Environment. Stay away form over-the-counter products that contain benzyl peroxide and salicylic acids as ingredients. Even the "new" products being pitched to acne sufferers are really just re-packaged ingredients that only make the breakout problem worse in the long-term. Choose face washes and moisturizers that are naturally-based with olive oil or grape seed oil, and glycerin for cleansing properties. Over-drying the skin leads to more dead skin that blocks pores and causes breakouts, not to mention it also speeds up lines and wrinkles! Read your labels and choose your skin care products wisely. Action 3: Exfoliate, Exfoliate, Exfoliate! If you have scarring, red marks, and uneven skin tone, then you need to use something like a skin peel to remove this layer of skin to reveal new skin. This is the only way to stimulate the skin to improve circulation which dissolves the red marks and takes off enough skin to even out scars. I recommend you use peels that are naturally-based, like the Ginale Skin Peel I helped develop for this purpose. Stay away from chemical peels, abrasive scrubs, and machines, as they can cause more problems with irritation and cause even more discoloration and scarring. You need a daily approach to keeping skin healthy and regenerating itself. Exfoliation is the key! I've put together a free video that shares more about this and can show you how to get results in as few as 7 days. Click on the next link to watch it now. By making a commitment today to make these changes, you will see an amazing improvement in your skin in the days that follow. Please share below how your skin health changes from following these action steps this year! Every year I like to do some acne myth busting. There is a ton of misinformation out there about what causes breakouts and even more confusion about what works to stop them. As I often say, acne breakouts are usually due to a combination of things we are doing rather than one specific thing. This can sometimes make detecting what is triggering your breakouts more difficult. This year I've decided to take a slightly different approach and give you some very straight forward information on what really does contribute to breakouts and what you can do about it. Here are 3 more you might not have considered. 1. Your Cell Phone Can Contribute To Breakouts! Research has shown the part of the cell phone that touches your skin when you talk carries a ton of bacteria. Especially now that most phones are touch screen and you're transferring even more bacteria from your hands to the screen all of the time. Try using hands free mode more often and make sure to clean your phone screen daily (with water and a little soap) to remove bacteria oil and dirt that build up on it. Also, in case you were wondering the acne curing apps being sold don't work either. You can read more about them here. 2. 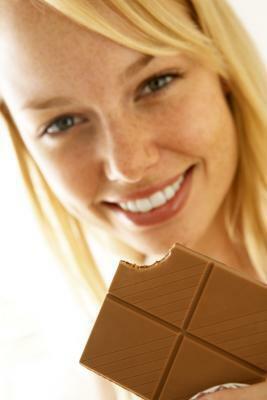 Does Chocolate Cause Breakouts? I have a whole blog post dedicated to this subject, but I still get many questions about chocolate and breakouts. This is one of the more pervasive myths on acne there is out there. Chocolate itself will not cause breakouts but the high amount of refined sugar it often contains can really contribute to acne. Higher blood sugar has been identified as a trigger for acne - especially in cystic acne. To minimize this effect, try buying higher concentrated cocoa such as darker chocolate. I myself try to stick to the newer sugar free versions. Chocolate is actually a very healthy addition to the diet in moderation. Check out my blog post on chocolate here. 3. Do Hair Products Cause Acne Problems? Hair products like sprays, gels, and the like are often overlooked as a contributor to acne. This is especially true for breakouts on the forehead and in the scalp. These product contain lacquers, waxes, and phthalates. These block pores and can cause irritation in the skin. Try keeping your hair off your face and making sure you wash the skin every day. If you are having scalp acne, which is called acne necrotica miliaris, you may want to consider foregoing hair products for a while and see if these breakouts subside. Adding a good clarifying shampoo can also help with removing the product residue which can add to blocked pores and breakouts. As a side note, Burt's Bees just came out with a more naturally-based shampoo and conditioner line you might want to look into to help with this. I hope these 3 things help you identify some of the things you can change to help keep skin clear and beautiful!